Police were called to a flat in Wellington Court in Burnley on January 16th, 2017. A Lancashire mother has appeared before a court charged with the murder of her newborn daughter, who was found in a kitchen bin with multiple stab wounds. Just before 3pm on January 16th police were called to a flat in Wellington Court in Burnley where Rachel Tunstill (26) was arrested after reports of a sudden death, leading authorities to find the infant in the kitchen bin. 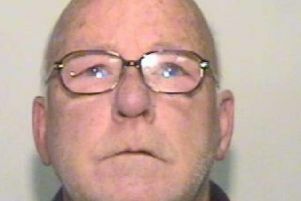 With the cause of death established during the post-mortem as multiple stab wounds, Tunstill did not enter a plea to the charge of murder, at Preston Crown Court. Honorary Recorder of Preston, Judge Mark Brown, remanded Tunstill in custody until Friday, May 12th, when she will return to court to enter her plea, with her trial date set for Wednesday, June 7th.